Hong Kong is facing a serious manpower shortage, as the number of elderly is rising, while the birth rate is decreasing steeply. Increasing the retirement age will help to ease this manpower crunch and elderly are still capable to contribute to the society. Other topics of interests include New Technology for Elderly, New policy for elderly in Hong Kong, the challenge of caregiver Take a look and learn more from the enclosed full-text articles that we have selected for you in this issue. Tomorrow we will be at the Skylight Plaza from 10 am to 5 pm to bring awareness about data privacy. Even though ‘protecting your data’ sounds dull, it’s easier than you think! Especially if you use DuoMobile! This app permits you to keep your personal information safe. We will tell you more about this app on the 3rd of April. We will have some games and we will give away some products. We hope that there will be a lot of you coming! See you there. Do you have the habit of logging out your account after surfing the Internet? Do you know how serious the consequences of not logging out may be? Are you willing to gradually establish a habit of logging out to protect yourself and your family's privacy? We are Pandata! Come and join us and you can know more about internet security and data privacy! Office of Service-Learning would like to express our gratitude towards all the participants in our Book Sharing session yesterday. Two books, Lingnan Campus Tour - The Beauty of Lingnan and Stories of Tseng Choi Street, are seen by the public for the first time. Authors and guests who came to our sessions shared the journey of book publishing from conceptualisation to materialising their work as well as all the little behind-the-scenes stories. You can sense the happiness of our guests from all the smiles in the photos below. We have some limited amount of books left for free distribution. If anyone is interested, please come to our office in LBY 101. More on Robotics and elderly today. This time, it's a movie. 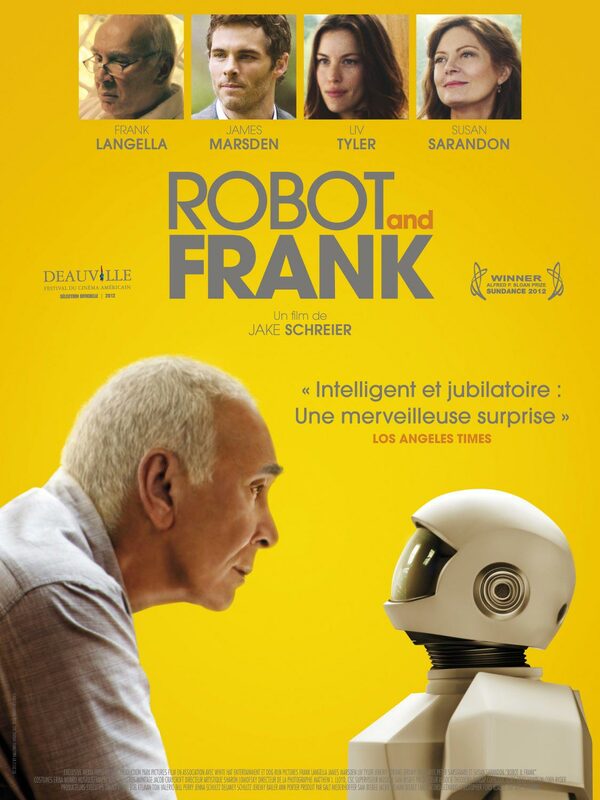 Robot & Frank is a Hollywood movie that features a sci-fi drama of Frank Weld, an ageing jewel thief, whose son gives him a domestic robot. The movie was directed by Jake Schreier and written by Christopher Ford. Resistant at first, Frank realized that he can repurpose his robots as a cat burglar assistant and slowly warms up to the robot whom he eventually becomes friends with.